How to progress in violin and be in it for the long game, without burning out from stress or anxiety. So I've seen many of my friends lock themselves up in the practice room all year, until they burn out and literally break down into tears. I've seen it multiple times at the music conservatorium I studied at, and I myself have had a similar situation. Reading some of the posts in this forum, I'm realizing there is a major challenge many of us face - yet there is very little written about this topic. 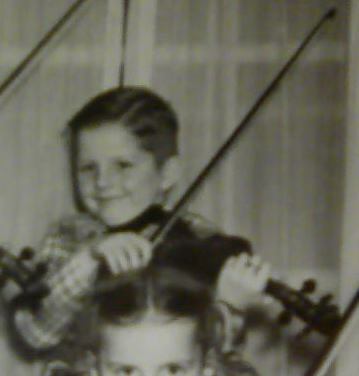 In fact, I believe the process of getting really good at violin (and other skills) involve a strong psychological game. So please, if you are suffering from self-doubt, anxiety or depression from feeling the need to practice and 'get better', take a moment to watch this video. Let me know what you guys think - if you agree or not. Hi Eddy! Welcome to the forum! First of all, thank you for sharing your video. I'm a big fan of 2set, I didn't know you had an individual channel! Thank you for putting these thoughts in words. I was suprised when you started to describe the dabbler character because I've been struggling to understand why most younger students have this attitude of "oh I can't play " now when they are in a great path and stop going to classes while at the same time they ensure they love violin. I've discussed this so many times with my teacher because it really is a pity seeing good students giving up. Also, I didn't know the word itself so thank you, I've learned something new today! When I started to play violin, my progress skyrocketed till the end of 2-3 year when I definitively reached a big plateau and then, shortly after, I went on a hiatus for a while due to college. After my return, I consider myself in the 2nd character you described. It's a mixed feeling because you know you are willing to fight and make progress but the results doesn't show up and that hurts emotionally. Relaxing is the key but it's easier said than done for people like me because it seems we lose control of things. It really is a psychological game, like you said. Very enlightening video, thanks Eddy. I can see all three points in many members here, including myself. Good stuff, Mr Chen. "Liked" and subscribed. I also have been a big fan and am now even more so. Awesome message, particularly for us adult starters. Thank you! Yup - I have no expectations to ever be a concert violinist - but I am driven by the "possibilities of playing like.... ( you can name them... pick ANY one great player )". I loved the video info @eddy20 - my "plateaus", which of course I have, are to me "consolidation periods". I have seen days where I struggled off and on ( my practice schedules vary - but generally will be around 1hr 30mins to 2 hrs per day broken into 20 or max 30 min sessions ) - but - for me - the REAL significant issue is - if I am having trouble with something - I'll drop it. Dump it. Leave it. Never touch it again for the next two days. Then come back to it, and, a few minutes into it I begin to "see" what was wrong. It's still not where I want it - but I'll work with it for a bit until I'm on the "edge" of getting the next step - then - when I realize I am "fighting" I walk away, for another day or so - and work on something different ( different technique, different tune, whatever ). But, I really do "get" what you said in the video eddy20 ! Cool ! Welcome to the forum Eddie. I saw many students and colleagues suffer from anxiety and depression and yes, we do tend to put a lot of pressure on ourselves. What are you doing presently? Studies? Performance? Teaching? Something completely different? Great video Eddy - and one that is relevant not just to players of other musical instruments, but probably quite generally! I can identify tendencies of all three that you mention...! Good food for thought, thanks for sharing! Thanks for the positive feedbacks everyone! @ElisaDalViolin - I'm always happy to meet a fan! Yep i've definitely oscillated in and out of all 3 at different times of my life, but have also enjoyed some great periods (sometimes even just short-lived moments) in my life where violin meant only about expression, fun and dedication. As with the students, I myself am still trying to find the best ways to instill great learning mindsets in students, so let me know if you have any suggestions or insights on that! @BillyG Love the Scottish sarcasm. Yes I find sometimes it is helpful to leave a problem for a while to come back to with a fresh mind. Other times, I find working at the problem with an open, inquisitive mind that is not too 'self-critical or judging' can bring awesome insights too. But I love how you remain conscious of the most important fact - that we should play it out of love.